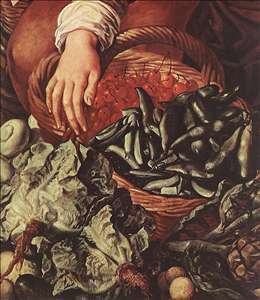 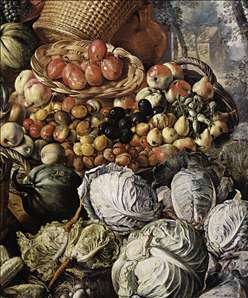 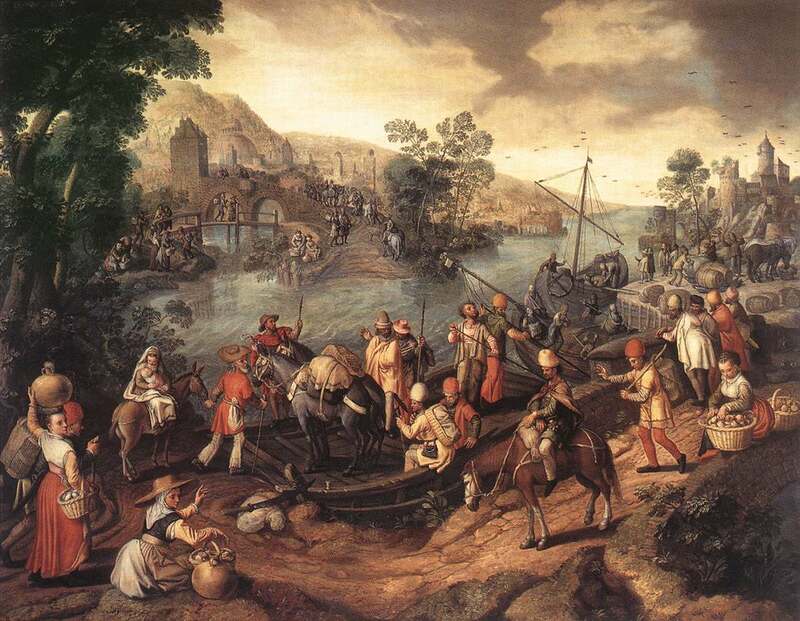 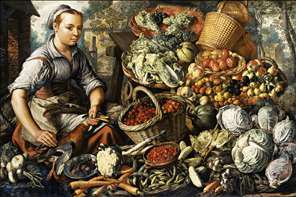 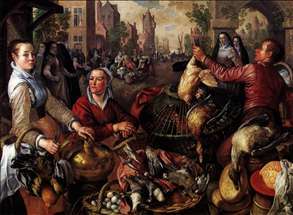 Netherlandish painter of large still lifes, market and kitchen pieces - active in Antwerp. 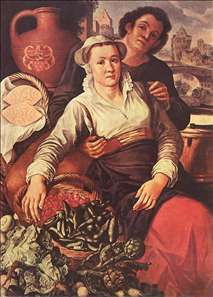 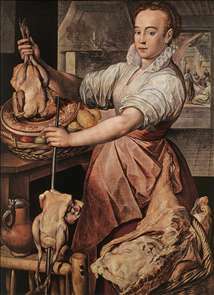 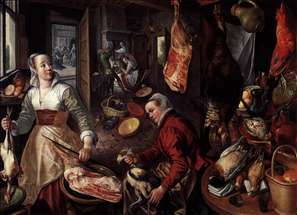 Beuckelaer was the nephew and pupil of Pieter Aertsen, and he followed his uncle s preference for scenes in which a religious subject is relegated to the background by the still life or genre content ( The Cook, Kunsthistorisches Museum, Vienna). 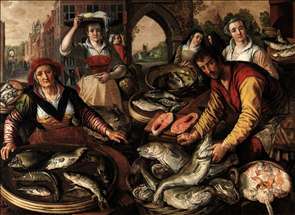 He seems to have been the first painter to depict fish stalls. 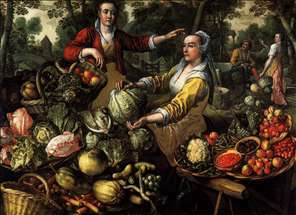 See more details about "The Four Elements: Water"
See more details about "The Cook"
See more details about "The Four Elements: Air"
See more details about "The Four Elements: Fire"
See more details about "The Four Elements: Earth"
See more details about "The Flight into Egypt"
See more details about "Market Scene"
See more details about "Market Woman with Fruit, Vegetables and Poultry"
See more details about "Market Woman with Fruit, Vegetables and Poultry "
See more details about "Market Scene "